Because we don’t eat and indulge enough during the holidays, here’s an excuse for you to eat some more today, on January 6. 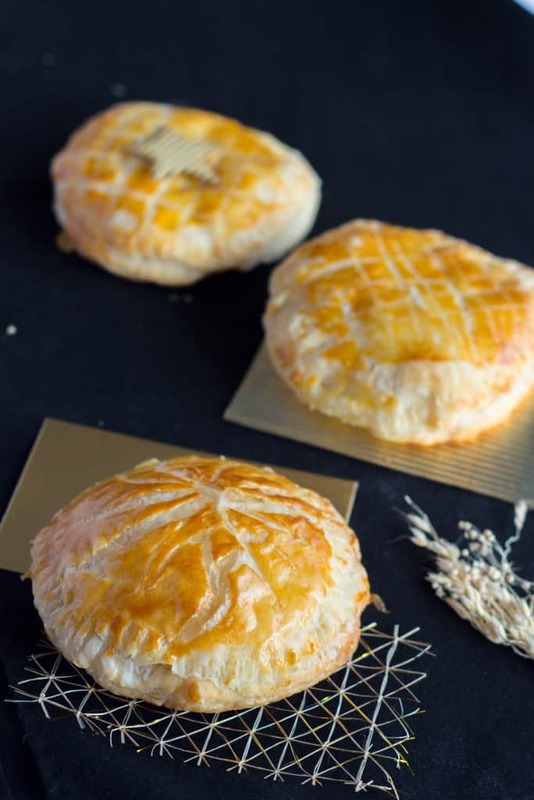 It’s a French tradition, la Galette des rois, or Kings’ cake, is eaten on Epiphany Day. No need to twist your arm to eat it, I promise. It’s just amazingly good stuff. 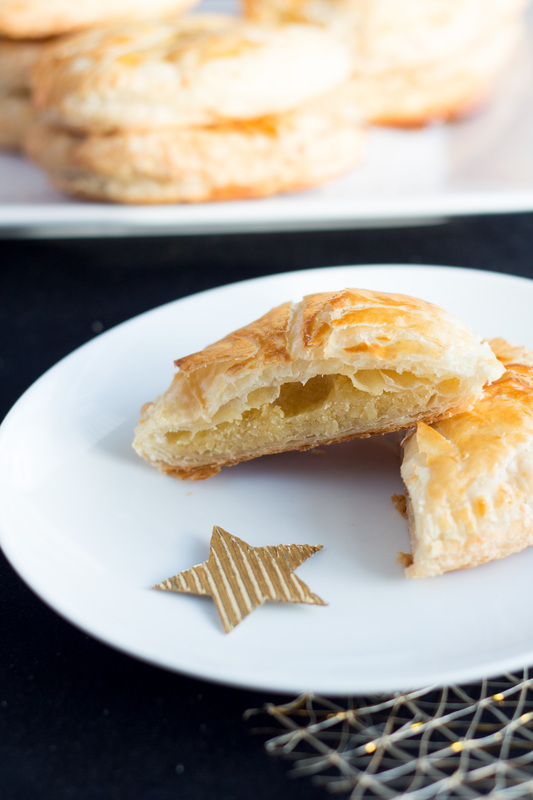 A nicely golden puff pastry filled up with a frangipane. Frangipane is a filling made with almond, it also has butter and sugar. Admit it, you can’t go wrong. 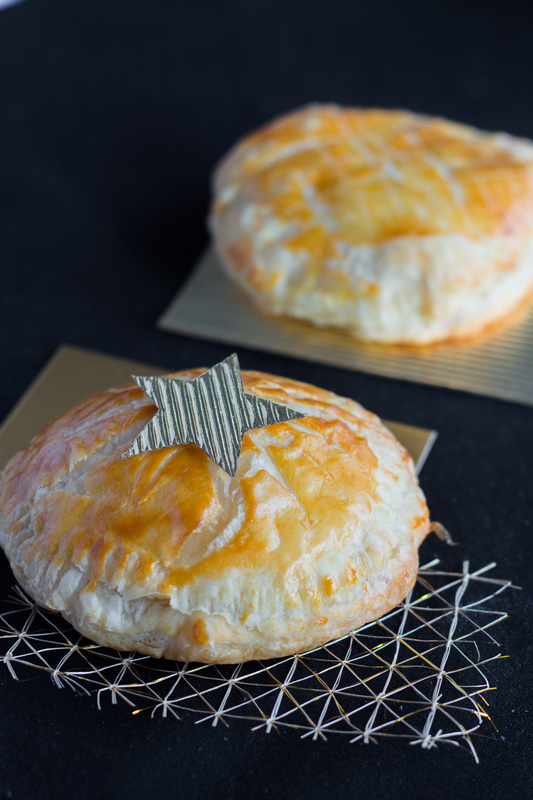 La galette des rois is the reason you need to push your new year resolution to later. 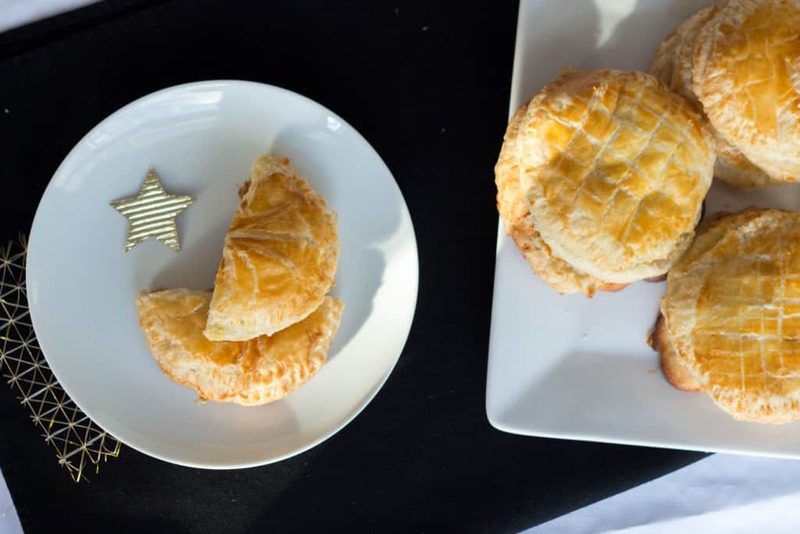 How can you resist that buttery pie? Speaking of which, I am not a big believer in New Year resolutions, why do people feel like a resolution should be taken on a new year, new month or a new week? I know that there is this sense of clean slate but I kinda of think I can be on a Tuesday, 14 of the month, in March? or July? Why not? Regardless, El Cubano decide to get healthier since he tends to be the picky eater of the house and started exercising. So to encourage him, while he exercises downstairs, I do cardio upstairs. The kids love it, they jump for 30 minutes. Let’s see how long we last! 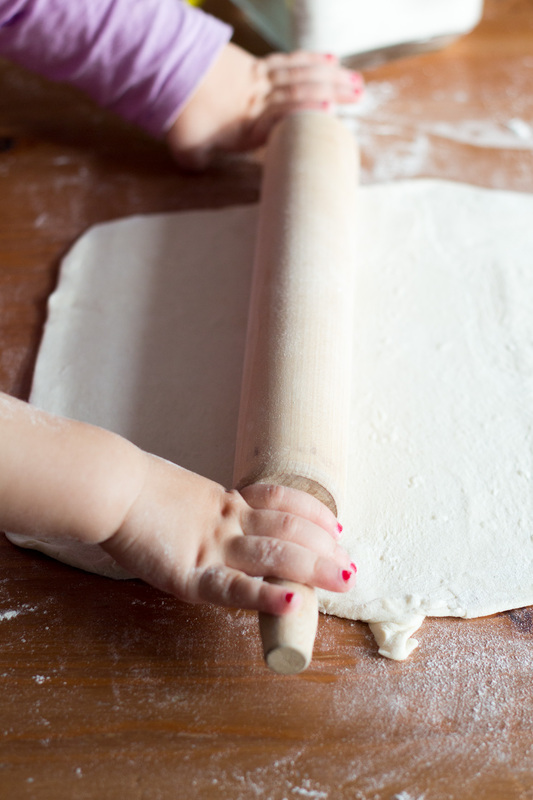 First, some little hands helped me rolling down the dough. My Princess was too cute! If you follow me on Instagram, you’ll recognize those little colored fingernails, just like Maman. I don’t mean to put the fault on my daughter (kinda :)), I meant to make nice decoration, French bakery like but she kept call me and grabing my arm. Doesn’t matter, this did not alter the taste! She’s been my little assistant lately and quality controller! Please do join this French tradition! 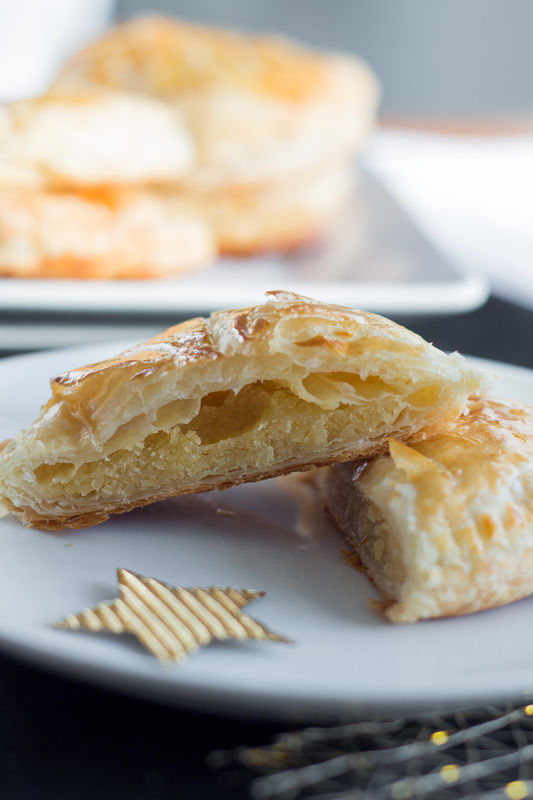 Normally, in France, a mini charm would be hidden in the filling and the person getting it (without breaking a tooth) would be king or queen for the day. - 1 egg yolk for the dough. 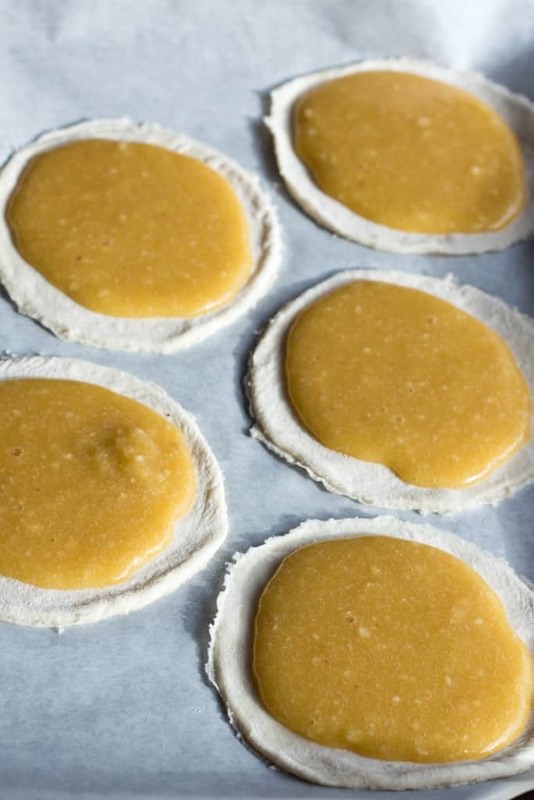 - Roll down the puff pastries and make 5'' circles (I used a bowl), You should be to make 16 circles for 8 small pies. - In a pot, melt the butter. - In a bowl, put the sugars, the ground almond and mix. Pour the melted butter on it and whisk. - Add the eggs one by one. You now have your frangipane. - On 8 dough-circle, pour some frangipane, equally on all the dough. - Cover the 8 pies with the other 8 circles you had left. Using a fork, press the borders to seal the pies. 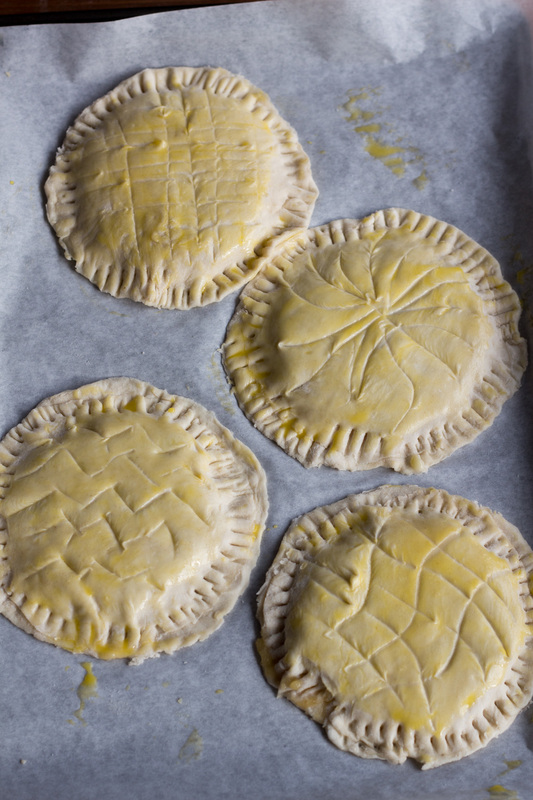 - Take your egg yolk and with a brush, spread some of all the tops of the pies. - Place in the oven at 380F for 20 minutes. Your Daughters little hands are so precious!! These lok delicious Melanie!! Thank you Melissa, she’s my little assistant!